As the 20th road going Ferrari, the Ferrari 360 Spider was the first proper mid-engine convertible model and offers a more spacious cockpit than its soft-top predecessors. It feels more like a genuine convertible rather than a car with a large sunroof. The Spider is perfect for travelling abroad with friends and loved ones, or even for a touring holiday to some far off land. 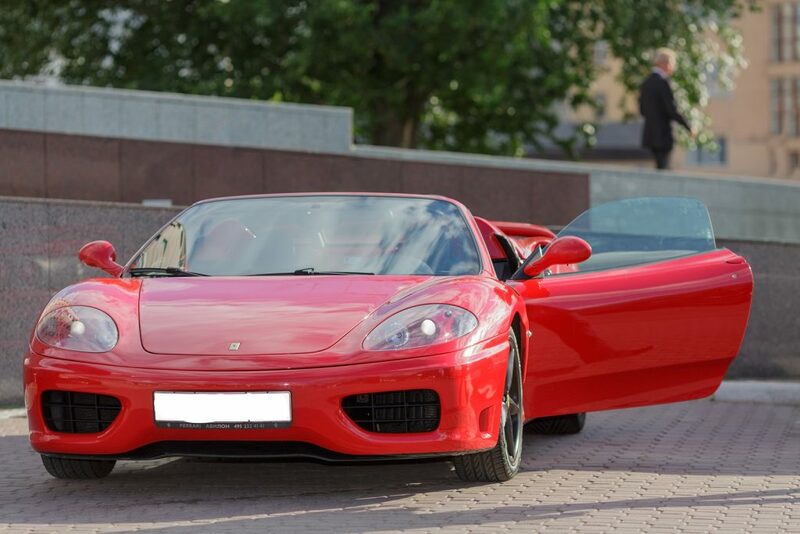 As well as offering the Ferrari 360 Spider for hire to individuals, we also lease the model to companies and organisations looking to hire a supercar for corporate events that range from a single day to a full week and more. At Ferrari Hire, we are proud to be able to offer the Ferrari 360 Spider to all and any client, and will strive to cater for every need and requirement. This includes a special delivery service that we offer throughout our entire range of Ferrari rental cars for the small price of £1.50 +VAT per mile from central London (with a minimum charge of £25 +VAT). For those who want to take their Ferrari 360 Spider further afield during their lease, it is also possible to pre-book additional miles at a 20 per cent discount. Of course, the Ferrari 360 Spider always comes with pre-loaded miles, but we always advise taking advantage of the mileage discount if an individual or business feels that they might exceed the original mileage agreement. If you’d like to know a little more about how you can hire one of our beautiful Ferrari 360 Spiders, or anything about the vehicle itself, check out our contact page.